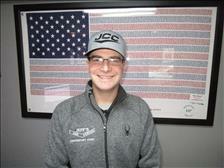 Jeff West is the founder and owner of Jeff's Car Corner, LLC. Jeff has built a successful, reliable and award-winning dealership based on the principles of product knowledge, quality inventory, warranties, customer service, community involvement, and financial awareness. 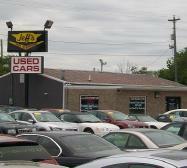 Jeff's Car Corner, LLC stays on the cutting edge of the industry to provide you with the utmost in service. Jeff is a teacher and mentor in the Quad City Area-he has strived to impart his vast experience and knowledge to his management team and staff. Jeff is also actively involved with the community that has allowed him to grow and succeed. Travis Sherven, a graduate of UND, started in sales and has grown into management for Jeff's Car Corner, LLC. He has been with the company for nearly 17 years. Travis brings his vast business experience in managing restaurants and casinos to the car industry. 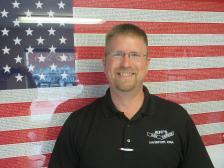 Jeff has chosen to rely on Travis' skills to both run the operations of the dealership and actively sell vehicles. His background is strongly founded upon customer service, knowledge, sales and a desire to please. 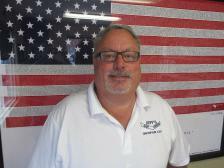 He is also the licensed credit life and disability insurance agent for Jeff's Car Corner, LLC. Travis Sherven is a transplant to the Quad City Area as he grew up in various locations around the world, but has decided to make this community his home. Travis is also very active in the community. After a brief time away to focus on outside needs and interests, Alex has re-joined Jeff's Car Corner, LLC as the General Manager. With over five years of experience here and several more in Colorado, Alex brings a tremendous amount of knowledge to the dealership. He is well versed in sales, financing, and customer service. Originally from the Quad Cities, Alex has strong ties to the area and is very active in participating in community activities, events, and charities. Alex oversees day-to-day operations at Jeff's Car Corner, LLC. We are very happy to have Alex on our team of excellence. Robert joined our staff in 2016 and has build a strong foundation of customer service and sales abilities. He continues to learn more about vehicles, financing, and paperwork. We are looking forward to a long-lasting and wonderful relationship with someone dedicated to bettering himself and the dealership. Robert also handles our community outreach program.  Matt has extensive experience in the customer service and auto industry. Matt has been in charge of Social Media and IT for local dealerships and is bringing his talents to us here at Jeff's Car Corner. Always putting the needs of the customer first have proven to be a successful approach for Matt! From the moment you arrive at our dealership until the time you drive away in your next vehicle, your buying experience with Jeff's Car Corner, LLC is our paramount priority. Our team will strive to exceed your expectations. We encourage you to use the expertise and resources of our sales staff; they are here to help you find the right vehicle at the right price. We are proud winners of the QC Times Reader's Choice for Best Used Car Dealership 2009, 2010, 2011, 2013, 2014, 2015, and 2016. We are also a Locals Loves Us Award winning business for 2013-14, 2014-15, and 2015-16. Come see today why customers keep voting us #1! Call us today at (563) 323-5170 to schedule your test drive! Jan West is Jeff's wife and partner. She is the backbone of the dealership! Jan has been with Jeff from the very inception of Jeff's Car Corner, LLC. 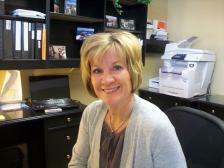 She handles the accounting and the ever-increasing behind the scenes operations of the dealership. A strong marriage and business partnership based on supporting one another allows us to continue to improve the dealership as a whole. Jim, Rob, and Mark have been a tremendous value to our dealership. With more than 50 years of combined experience between the three of them, we could not be as successful as we are without their efforts and knowledge. Our mechanics continue to grow and learn--any person who services vehicles knows that you'll spend a lifetime expanding your abilities.